Welcome to Little Eden Working Jack Russell Terriers! Jack Russells are a way of life for us at Little Eden and the terriers are considered members of our family. We enjoy the constant activity and entertainment they provide, appreciate each individual personality, and take pride in their many accomplishments. This Web site is a tribute to them. Click on any of the photos throughout the site to see larger version. In About Us, I share with you a little about my breeding program and how my family contributes to its success. Anyone interested in learning about the individual terriers in our Breeding Program can find complete profiles for these dogs in Stud Dogs and The Girls, including links to their pedigrees and progeny. "Our Foundation" can be accessed from The Girls page, and from there, be sure take a look at "Wrinkle's Legacy" page. Here you can view the development of our line over a span of six generations. Plans are also in the works to add pages for some of the other important terriers from our past - stayed tuned! 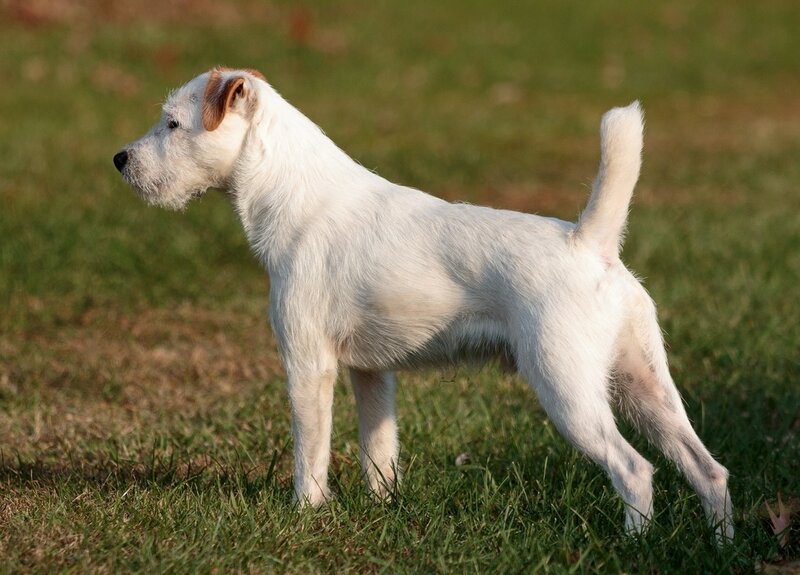 For those wanting a Little Eden terrier as a member of their family or breeding program, information on upcoming litters, available puppies, retirees looking for a new home, and my general sales policy is kept up to date in the For Sale section. I’ve tried to answer some common questions about Little Eden and the breed in general in the Frequently Asked Questions (FAQs) portion of the site. The Updates section will help keep you abreast of any recent developments pertaining to our our Breeding Program which are reflected here on the website. I sincerely hope you enjoy your tour of our showcase as much as I’ve enjoyed bringing it to you. If you have further interest in my terriers and my breeding program, please feel free to get in touch with me by accessing the email link on the upper right hand corner of each page.